The Goddesses are here to help! Goddess magic is powerful magic: with the help of the right goddess, simple spells can yield amazing results. In this book, author Jen McConnel offers spells imbued with the vibrant force of twenty-five goddesses from around the globe. Call upon Athena for memory retention, Aphrodite to gain confidence, Persephone to find your path, and Sekhmet to prevent illness. As easy as taking a bath or boiling a pot of noodles, McConnel shows you how to transform everyday items from your pantry or from your purse to create the magic and life you need. 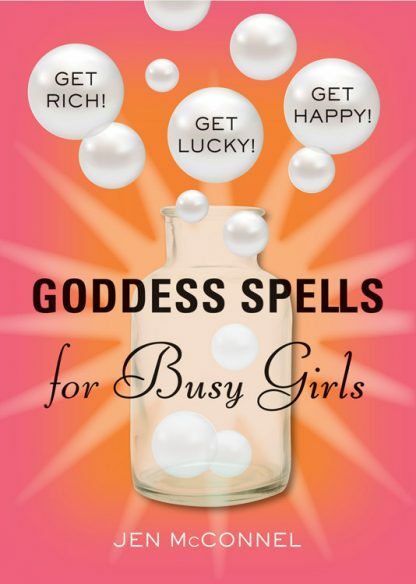 For the busy woman who wants it all but needs help getting it, Goddess Spells for Busy Girls can help you achieve love, balance, protection, and abundance in your life. Remember, there�s a goddess for that!